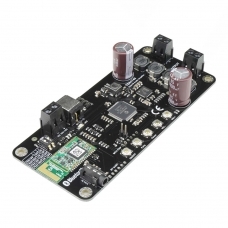 TSA1740 is a 2x20W Bluetooth 5.0 audio amplifier board. It has a digital amplifier chip YDA174 on the board. 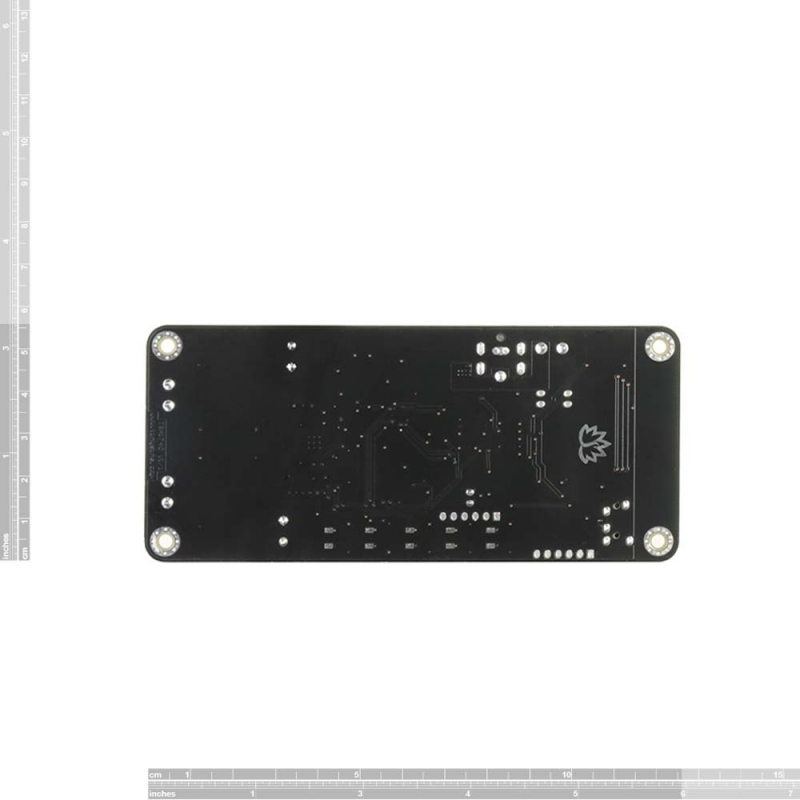 It is a 20W×2ch high performance digital audio power amplifier IC with two DSPs. 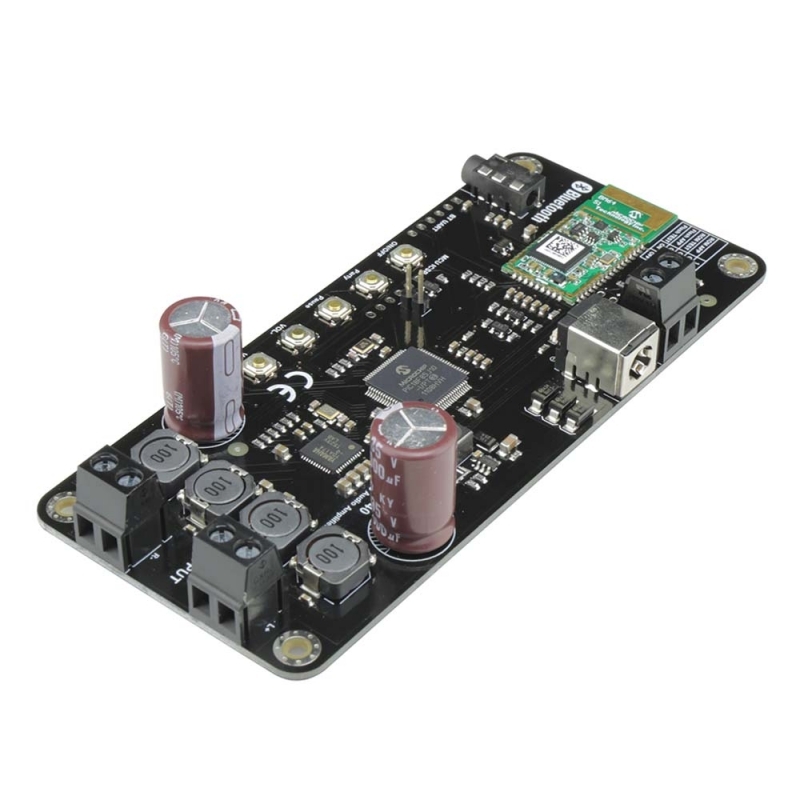 This board can be powered by any DC10V-18V power supply. It can be used to drive any 4Ω or 8Ω passive speakers. It's perfect for your Hi-Fi application. You may wish to pair with a mobile phone or a computer (etc). Power the amplifier board. Use your phone or PC (etc) to search for a new Bluetooth device. 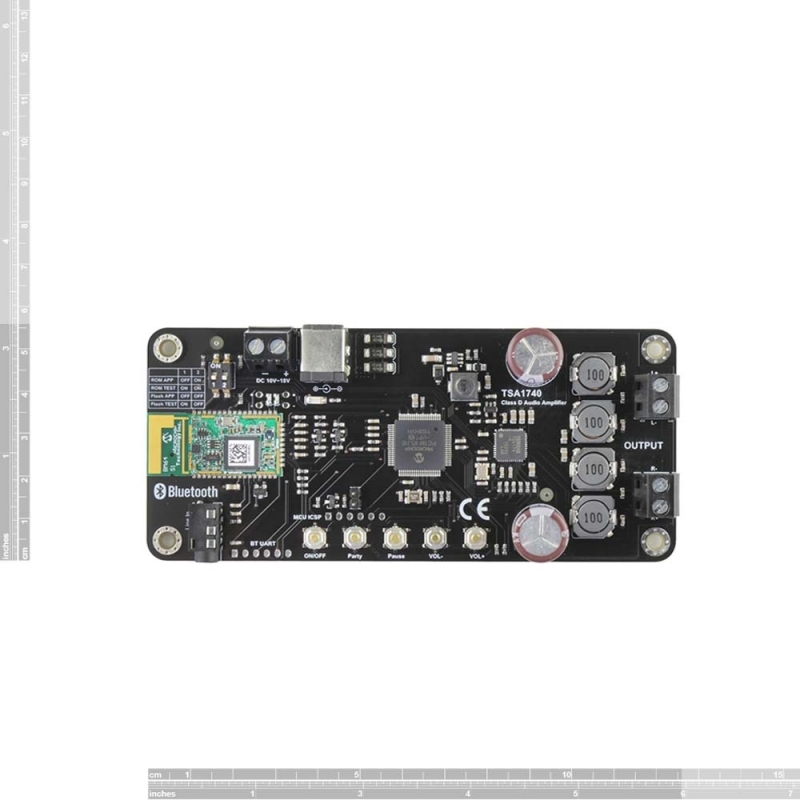 The module will appear as "TSA1740". You don't need a PIN, pair it and then you can play music. The highlight point is you can connect multi TSA1740 to let them works together. It's a Bluetooth network. 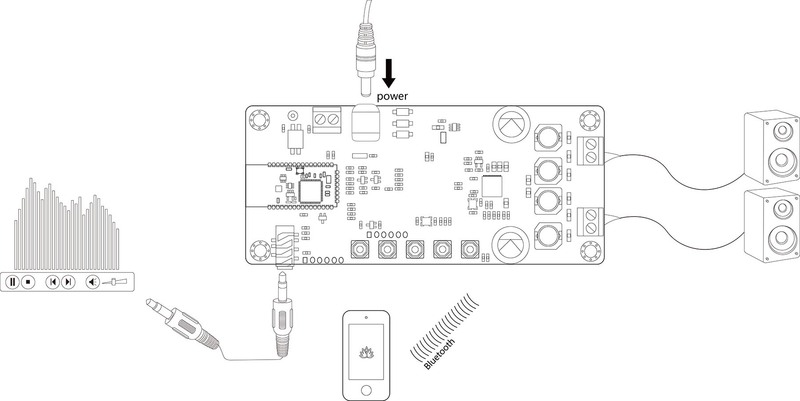 When you set the board to "party mode", users can stream audio to many amplifier boards at the same time wirelessly. If your smartphone never paired with it before, You need the press the ON/OFF button first. Then use your smartphone search for a new Bluetooth device. The board will appear as "TSA1740". Pair and connect it and then you can play music. When you next time use it, You don't need press the ON/OFF button after power on. 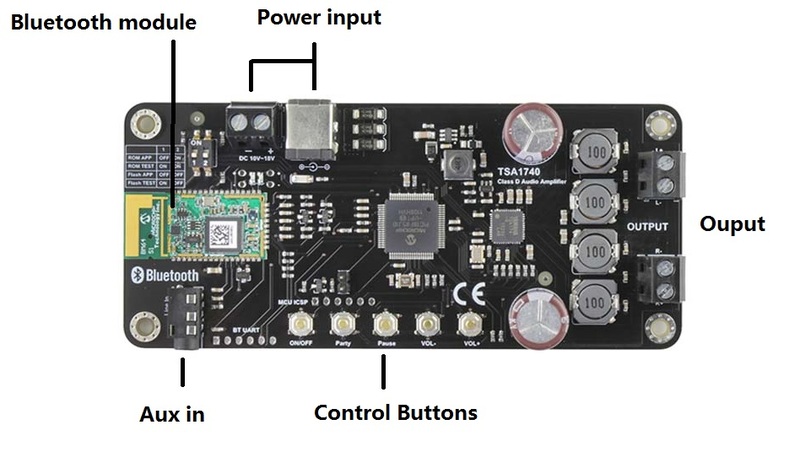 Select one board as Master board. Let your smartphone paired and connected with it. You can play a music. You can hear the music from master amplifier speakers. Long press the master board party button. Long press the slave boards party button one by one to let them paired with master board. All speakers have music out. 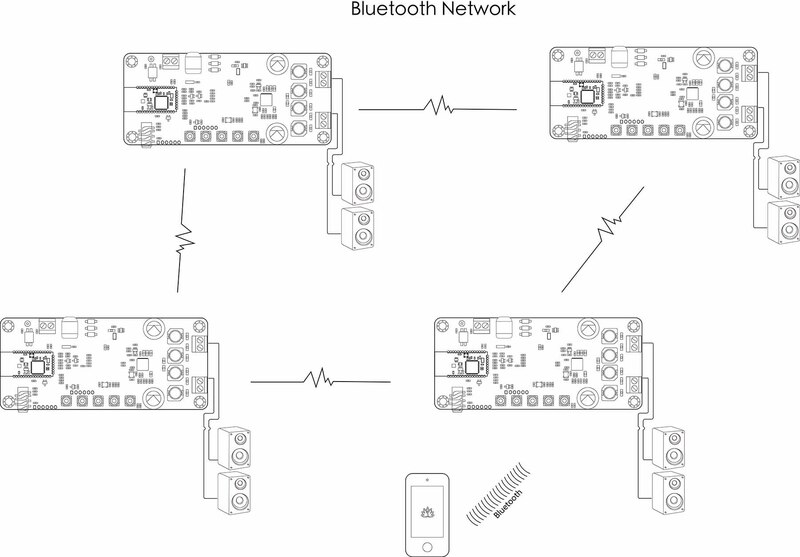 Specifications typical @ +25℃, Powered by 12V DC, unless otherwise noted. Specifications subject to change without notice.